The first step is a meeting with you to establish what you want your site to do for your business. Here we discuss your target audience and the look and feel for your site. We also establish whether or not you need a Domain Name/Hosting, photography/logo design etc. We take this information away with us and begin to design 2 different concepts for you to look at. At this stage we will do a single page mock up of what your site will look like. We give you the tools for you to start putting together your actual content for the site as well. Our second meeting with you will be to deliver these concepts and discuss what you like about them and what you don't like. Once we have established which concept you would like to proceed with we require a 50% deposit.It's at this stage you need to provide us with all the content for the site (images/text/etc). We now get to the exciting bit. Your site will now start to come together and we will work in conjunction with you as the process continues. This may mean another couple of revision rounds to make sure we on the same page. The final step is presenting you with the completed site and going live. It is at this stage you can see your site on the www. Final Payment is now due. 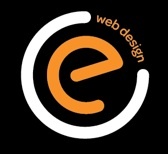 East Coast Web maintains copyright of the design concept until the work is paid for in full. Should you not accept our quote you may not use our design concepts.